Healthcare, pharmaceuticals, biotechnology, life science labs and universities have laboratories equipped for scientific experiments, research, teaching or the manufacture of drugs or chemicals. A laboratory is a place where students, researchers and technicians may spend a lot of time seated performing various tasks in any given day. Needs will vary greatly from lab to lab, which is why it’s important that you can trust Bevco’s made-to-order laboratory stools to suit your specific desires and preferences. 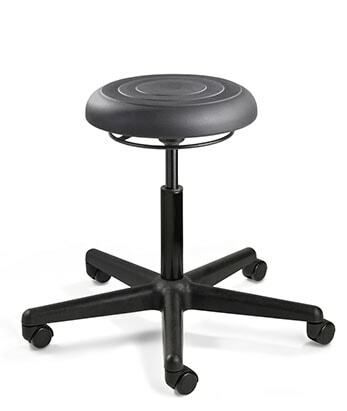 Bevco manufactures all of our lab stools so that ergonomic adjustments can be made easily and quickly allowing you to stay focused on making advancements in your work. Bevco lab stools are available in 3 height ranges (desk, mid & tall height) along with a variety of base style options. They are easy to clean and will provide years of long-lasting comfort. Our stools meet ANSI/BIFMA X5.1 safety, durability and structural adequacy standards and have also been GreenGuard Gold certified delivering healthy, sustainable laboratory seating solutions. 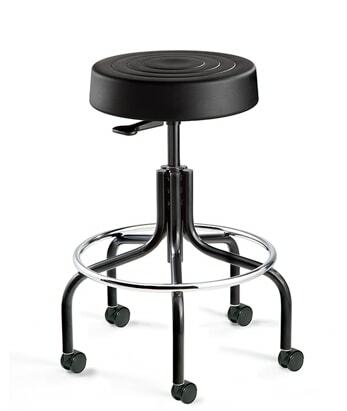 Bevco extends a full 12-yr warranty on its core line of laboratory stools along with a lifetime warranty on the cylinder giving you peace of mind with each stool purchase.